For two days, around 80 scientists, humanitarian actors and funding organisations gathered in Oberpfaffenhofen to discuss and exchange latest research and technologies, all with the focus on supporting humanitarian practice. The main aim of the event was to connect and facilitate exchange of academia, tech providers and developers, humanitarian organisations and funding agencies- to enable the development of innovative solutions to current challenges and to improve current workflows and approaches. 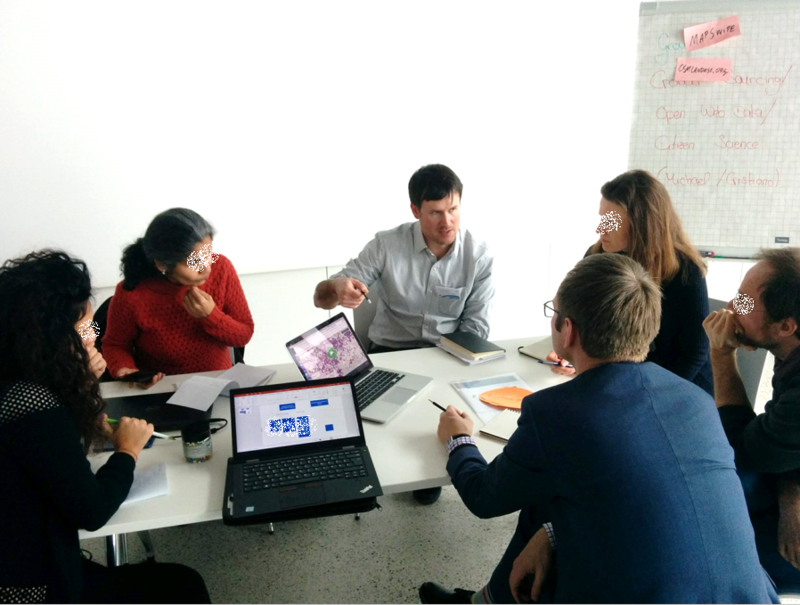 Michael Schultz presented the work of the HeiGIT/ GIScience Research Group and the collaborative projects with the German Red Cross around the use of open geodata for international humanitarian practice in the World Cafe. Due to the great interest of the participants, he furthermore lead one of the Demo sessions the following day to further discuss potential collaborative project ideas. See the full program here. These aims are very much in line with objectives of the HeiGIT and GIScience Research Group in Heidelberg and we are looking forward to seeing further exchange and collaboration of humanitarian actors, academia and decision makers - and to be part and to support through our expertise, skills and experience. We thank all participants for their interest and great exchanges and are hoping to start turning the discussed ideas into action soon!